ARPA-E brings together top minds in energy research, development, and commercialization to change what’s possible. One quality that stretches across this spectrum of backgrounds and talents is a commitment to making an impact—enhancing the United States’ economic competitiveness, energy security, and environment. ARPA-E invests in creative, out-of-the-box, and transformational energy technologies that may not be ready for significant private investment. De-risking these potential high-impact technologies at key make-or-break points early in the development cycle is the foundational mission of ARPA-E. 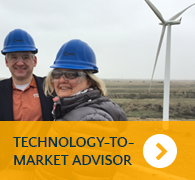 The agency targets the nascent technologies that stand to transform America’s energy landscape. Since its founding in 2009, ARPA-E has funded over 660+ projects in diverse subject areas, including reimagining electrical generation and grid technologies, engineering useful new materials, and finding innovative ways to transform America's transportation infrastructure, to name a few. At the heart of ARPA-E’s success is its people. 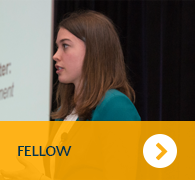 Program Directors, Tech-to-Market Advisors, and Fellows come from universities, industry, startups, and the public sector to redefine our nation’s approach to energy innovation. We invite you to learn more about life at ARPA-E and how working with us could be the greatest experience of your career. Click the photos below to learn about each position.